This routine was created by Master Chen Fa-ke for self-exercise in his old age. 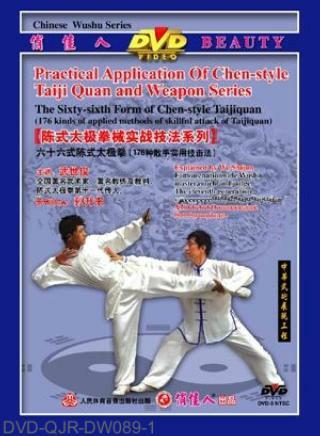 It is based on the original routine of The Chen-style Taiji Quan Old Frame and modified in accordance with the actual combat applications. It integrates seamlessly all the 66 unrepeating movements of Routines I and II of the Old Frame into a more rational arrangement. Wu Shi-jun again rearranged according to the principal of "will ahead of movments, sentiment among movements, move as tearing cotton, zigzag and folding" to fully embody "limbs move according to mind" for actual combat. It will bring you to the scene of inner calmness and demonstrates the style of classic elegance with portliness, light and gentleness with pizzazz. This routine has certain difficulties and is suitable for those with some basic wushu skills.